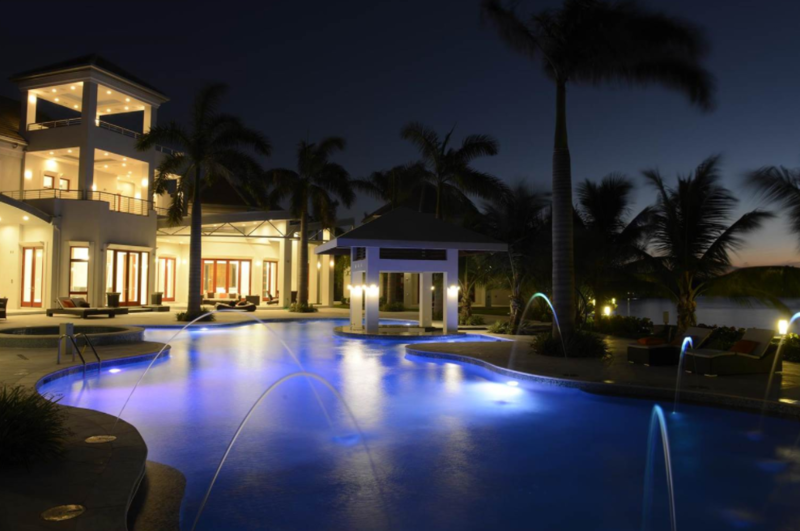 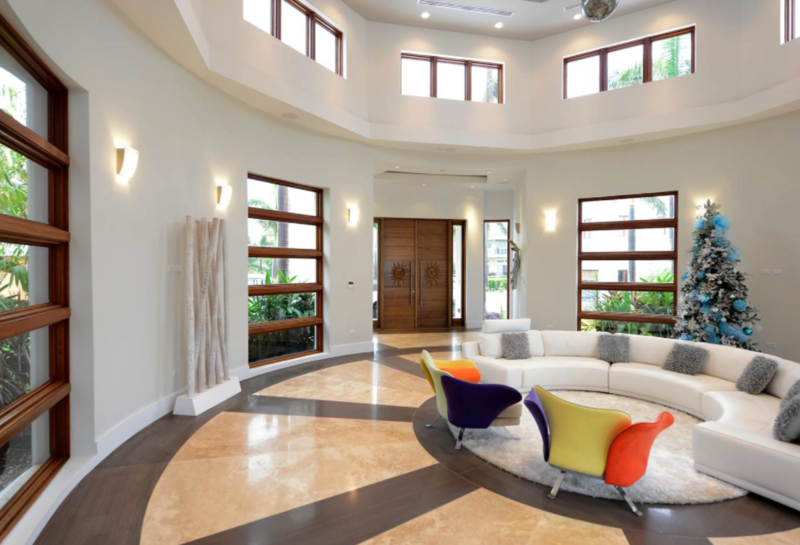 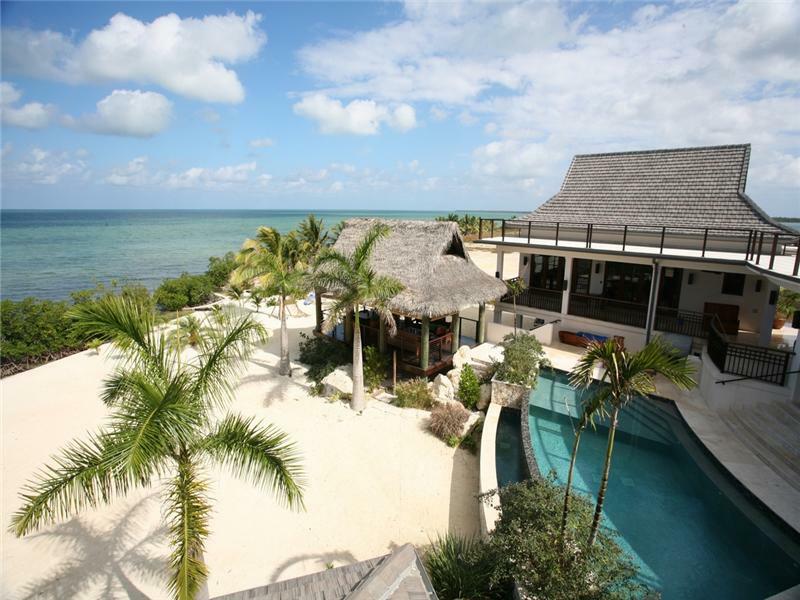 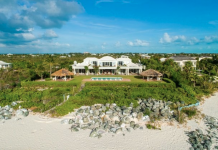 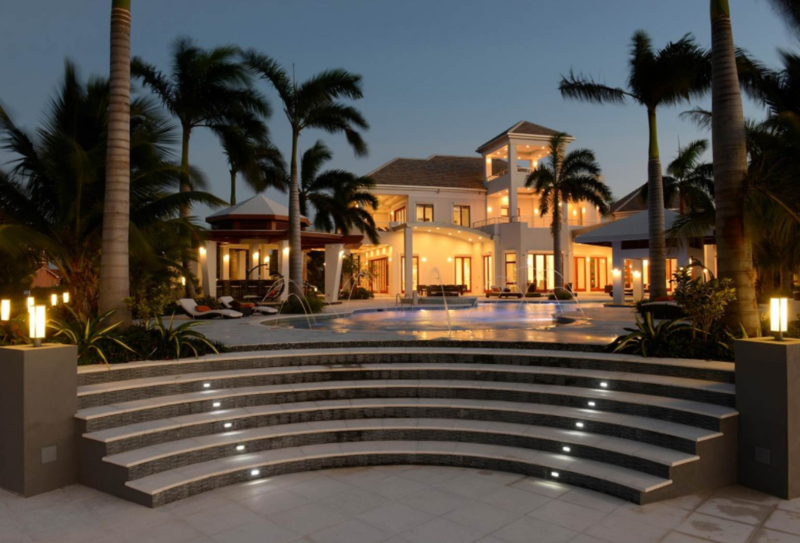 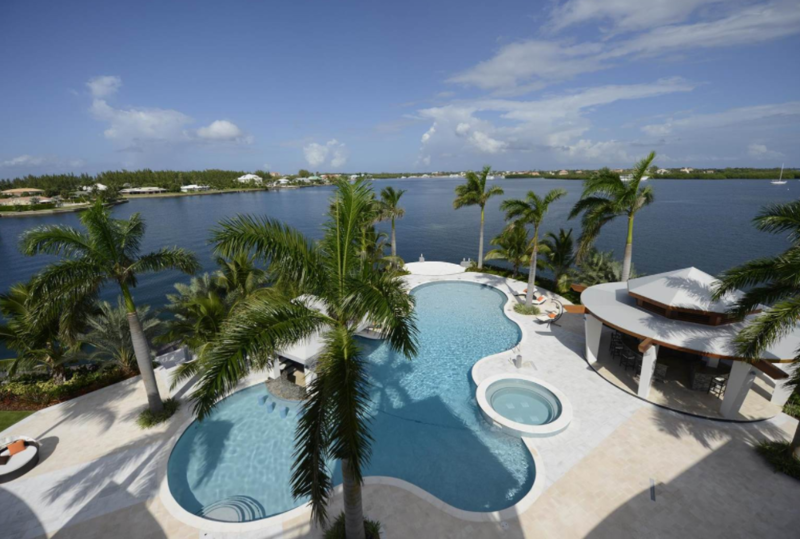 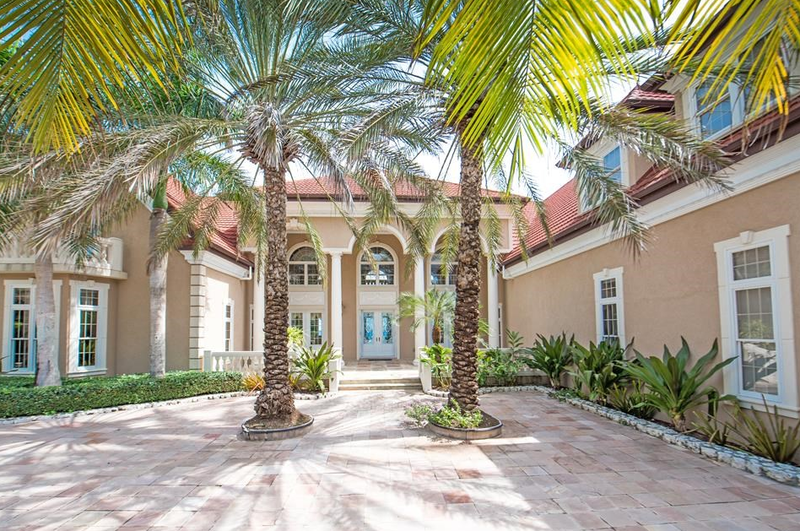 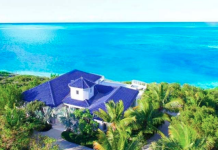 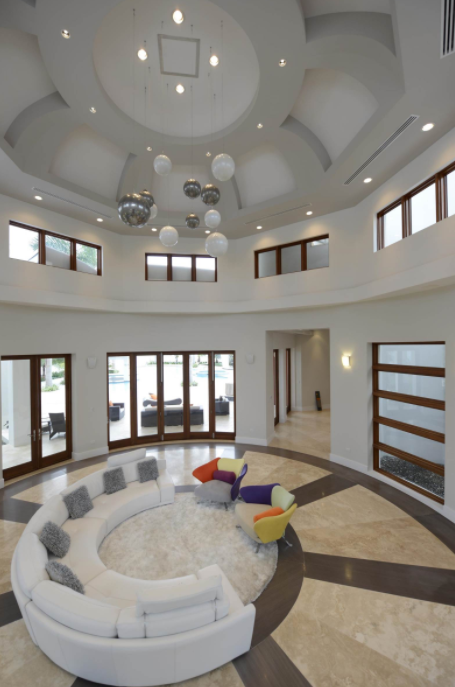 This waterfront estate, dubbed “The Peninsula Estate” is located in the prestigious gated community of Crystal Harbor in the Cayman Islands and is situated on 1.75 acres of land with 950′ of water frontage. 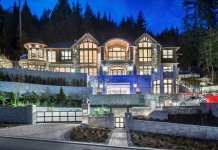 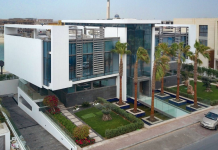 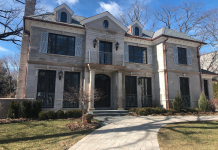 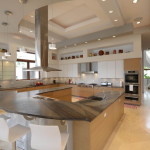 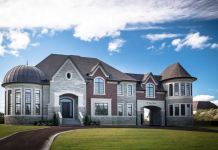 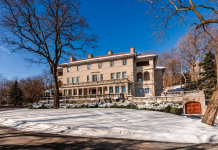 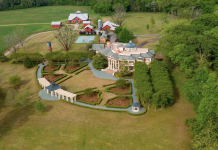 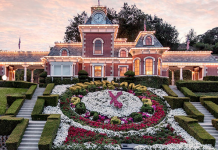 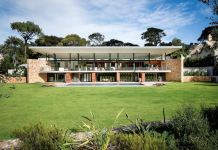 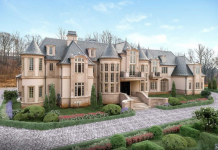 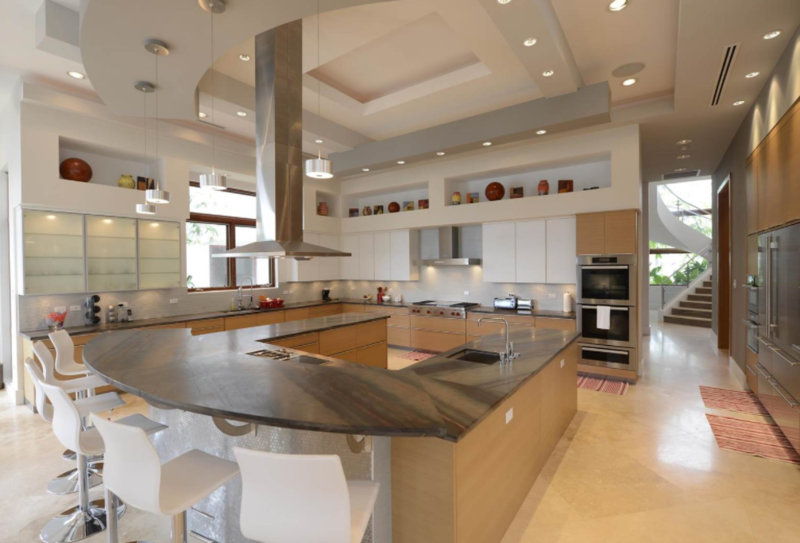 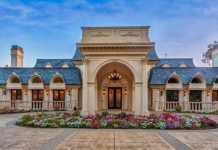 It was built in 2014 and features approximately 25,413 square feet of living space with 6 bedrooms, 10 bathrooms, multiple living/dining rooms and kitchens, wine cellar, separate building with private theatre lounge and bar, 5-car garage and more. 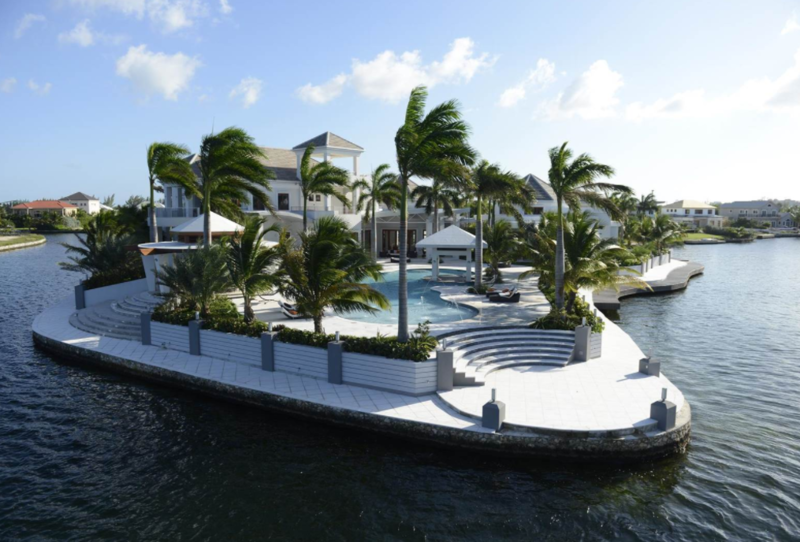 Outdoor features include a front entrnace with bridge over a 45′ koi pond, 21 terraces, 3rd floor lookout tower with wet bar, expansive patio, swimming pool with spa & swim-up bar, gazebo with kitchen/BBQ and wet bar, amphitheater and docks.